I’m sure we’ve all seen a Bond movie where James saves the day. How? Well partly because he’s always privy to inside information, and is equipped with the latest gadgets. 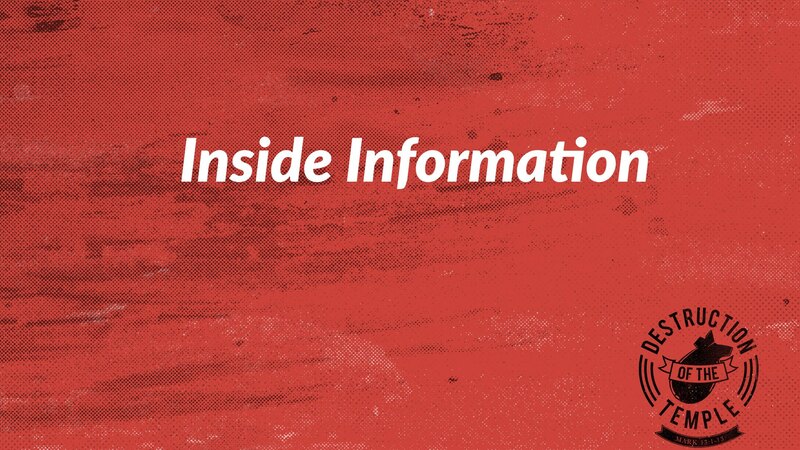 Like James Bond all Christians are privy to the greatest inside information available about the destiny of this world, and the people who live in it. 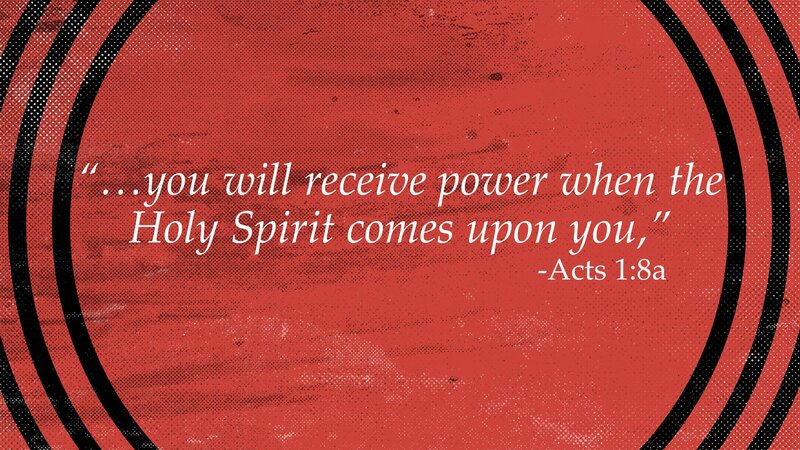 Boy-o-boy, hasn’t God equipped us enough with His Spirit! As a result, how do you spend your time? Speculating about it, or living in the light of it? 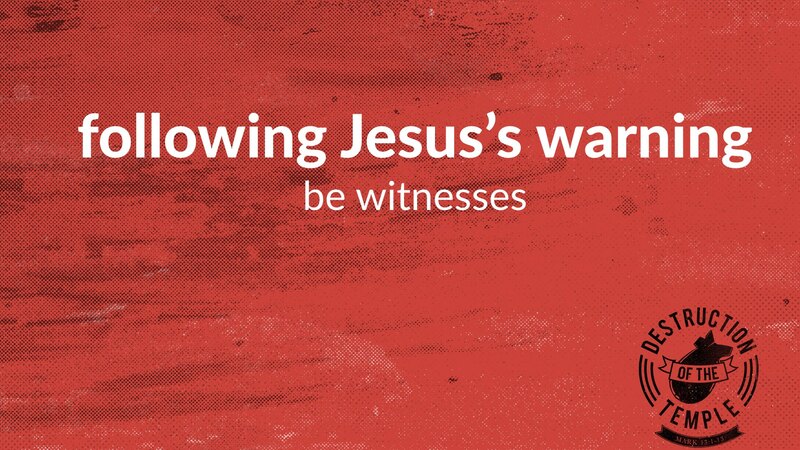 To get the right perspective we need to see that Jesus predicts two judgements: a near and a far. As with binoculars, we need to adjust to get the right focus. 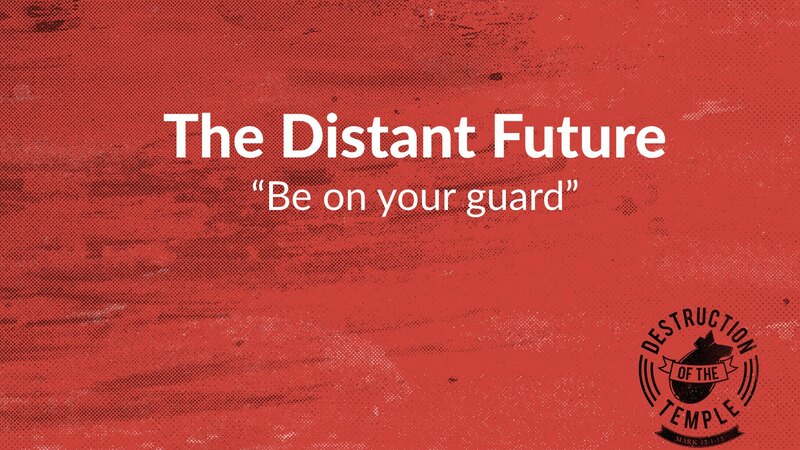 We can focus on judgement in the near future, and judgement in the distant future. It was pretty clear that the Jews had rejected their Messiah. 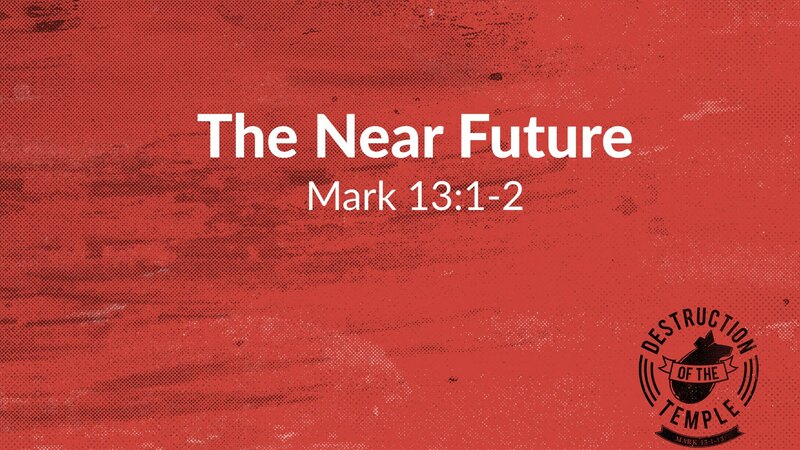 So, Jesus explains the signs of the future rejection of the Messiah by Israel and the whole world. Then He predicts the future of Israel and its temple. 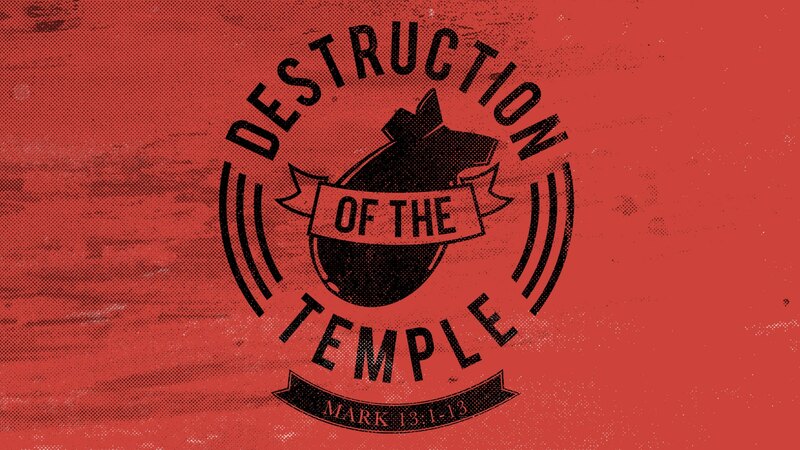 That was the third temple (1 Solomon, 2 Ezra). Herod began construction around 20BC. He rebuilt on the same place had stood for nearly 500 years. It wasn’t completely finished until 64 AD, but just six years later that temple, the disciples were admiring, would be completely destroyed by the Romans. Some of the disciples would live to see it happen. Verse eight is about the distant future. It is about our present time, and its in connection with his return, when He will come again to judge all the people. Jesus shows us the birthing signs, things that will be taking place before and at His return. 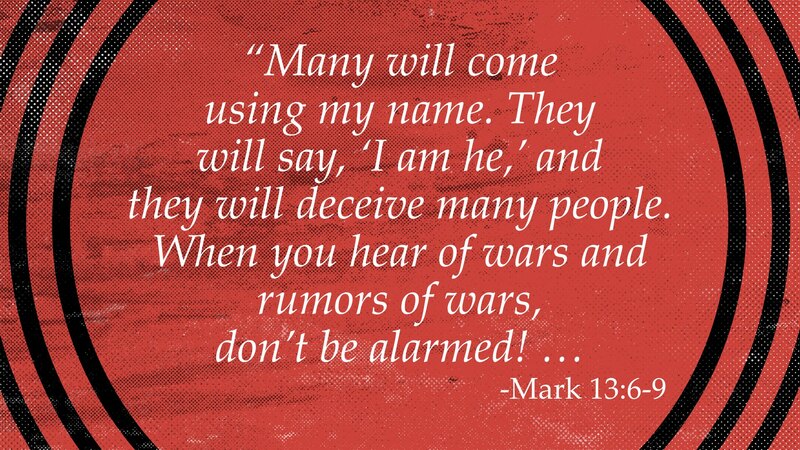 He says, "Be on your guard, against deceivers, persecution, and because no one knows when He is returning." We are to be ready, living in the light (anticipation) of His return. 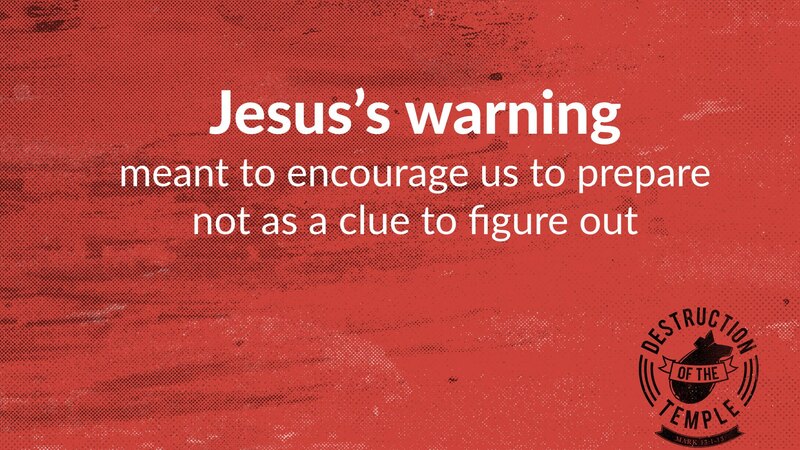 Jesus warned his followers about future events so that they could learn how to live in the light of them, not so that we can spend our time guessing when they might be fulfilled. It was to help us to remain spiritually alert and prepared as we wait for His return. Most people are watchful today, but often for the wrong things. For instance, a lot of Christians are under a delusion that things can get better, that there are good times ahead (if we only work together). Jesus never taught that way. 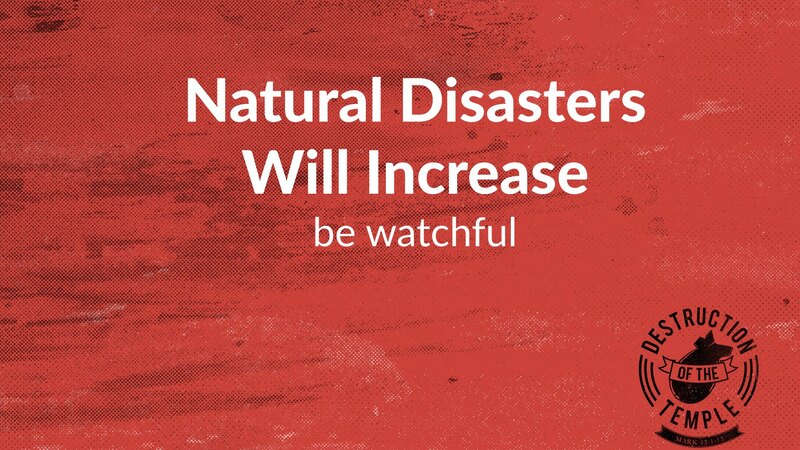 Scientists today talk a lot about a rise is natural disasters in a scale that we’ve never seen before. 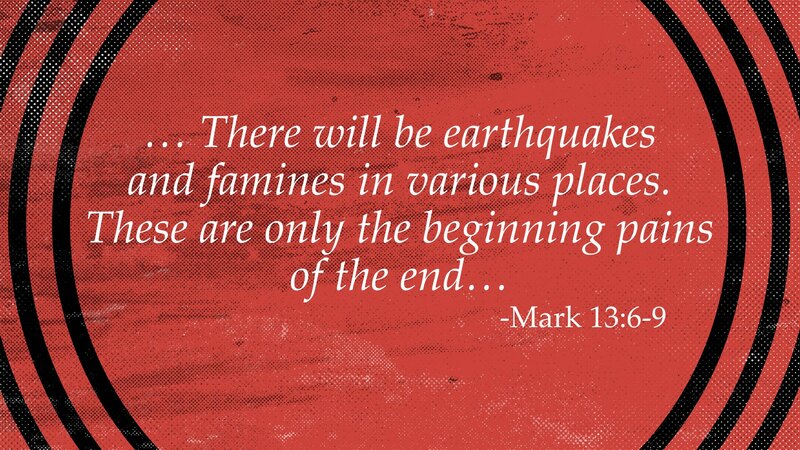 Floods, fires, earthquakes, Tsunamis, Hurricanes and famines, these things are increasing. 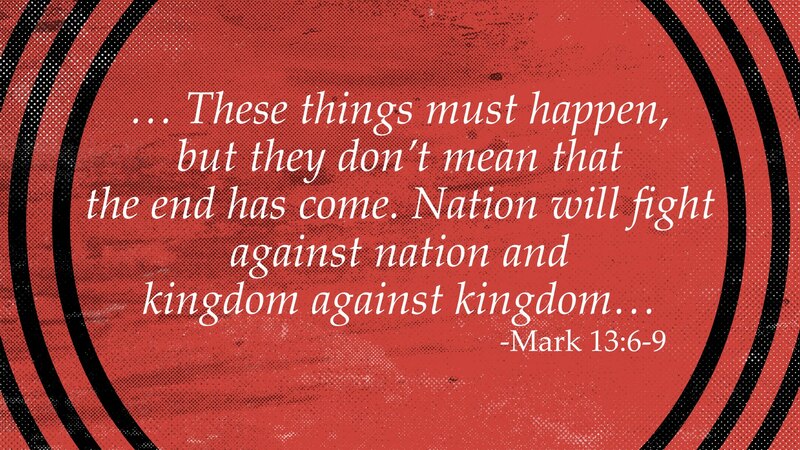 “It shouldn’t take us by surprise.” We need to be watchful, these fearful events are taking place and we need to be on our guard ready to act because we know while it’s all taking place Jesus’s return is near. 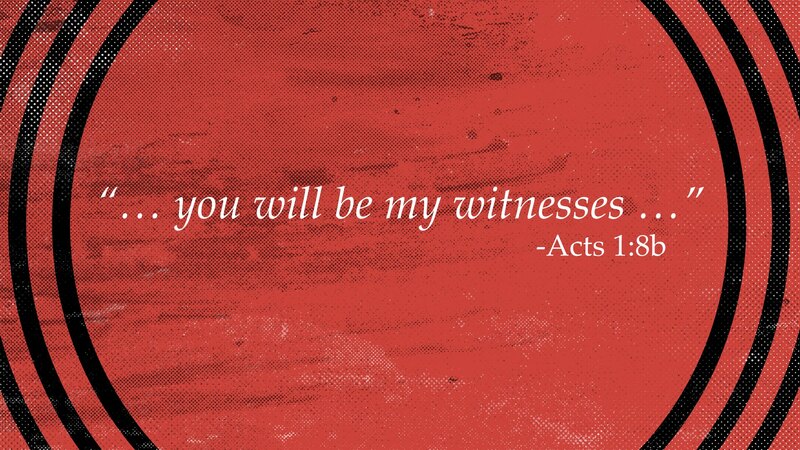 But, in verse nine, Jesus tells us, we are to take every opportunity in this life to be his witnesses. 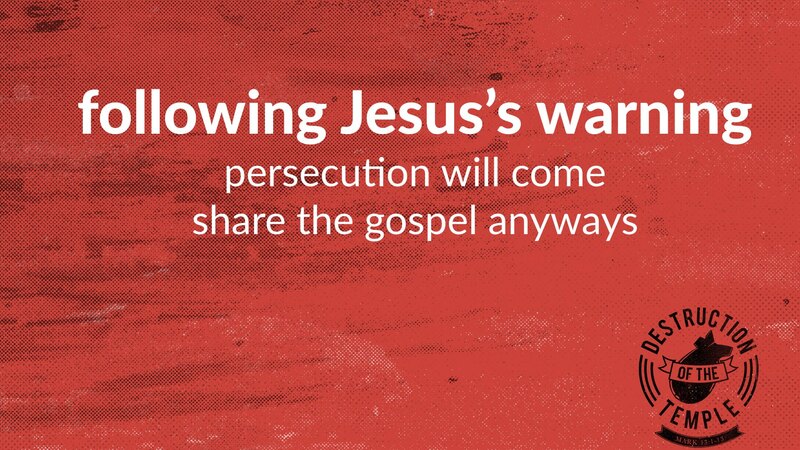 Some Christians often scratch here heads and ask “What does Jesus want me to do?” Those first century Christians faced serious persecution. Jesus tells them they would be handed over to councils, be beaten, arrested and tried. There is a universal uneasiness, even hatred, toward the radical Christianity for which Jesus is calling. We see it in the media, in our streets by the culture. 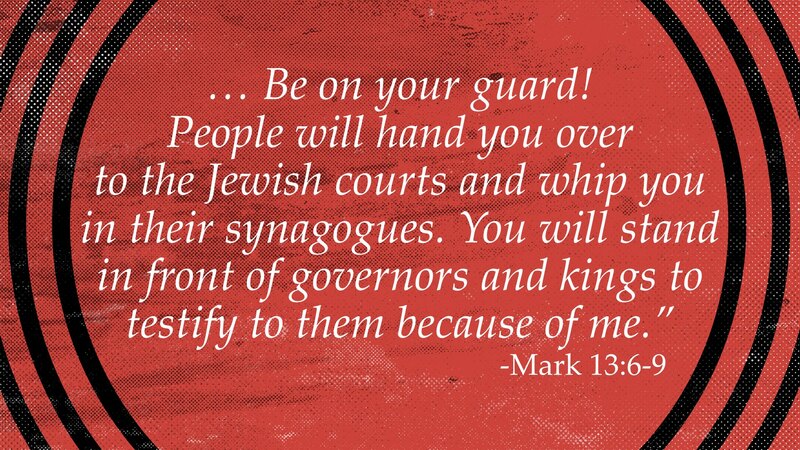 Verse thirteen tells us, it’s because of Jesus, and his demands upon peoples lives. 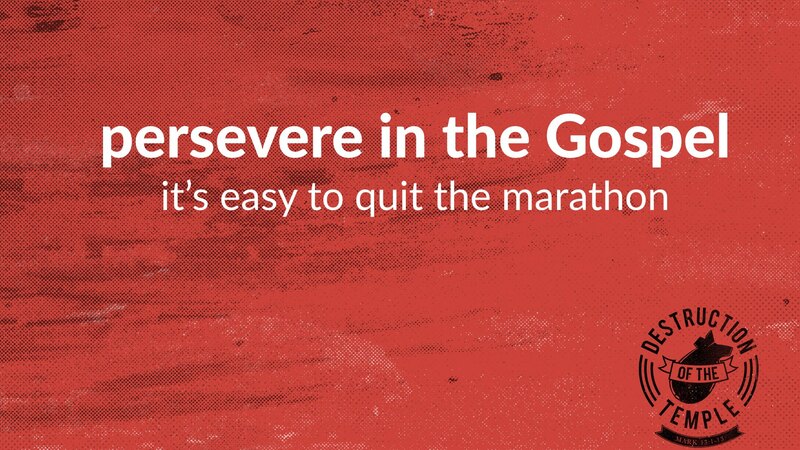 Faithful endurance to the end will bring eternal life. 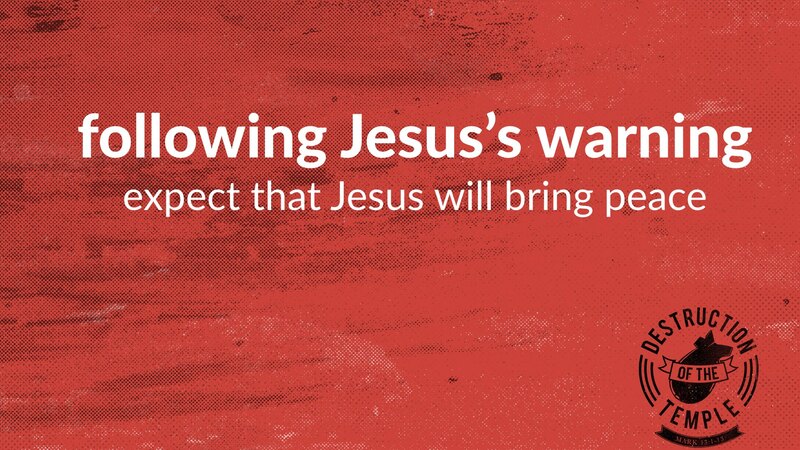 Jesus says that our faith will be opposed in the most unexpected places, and He is calling us to stand firm. Severe trials will sift out true Christians from fair weather believers. 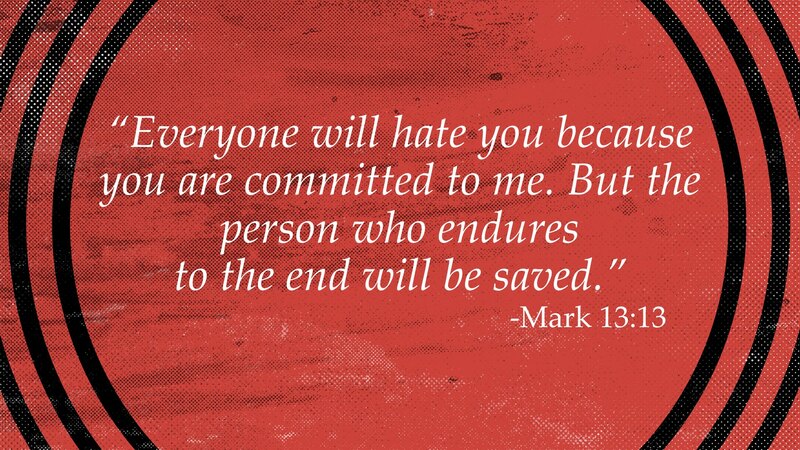 Enduring to the end doesn’t earn us salvation, but marks us out as already saved. Am I saved? Are you enduring? 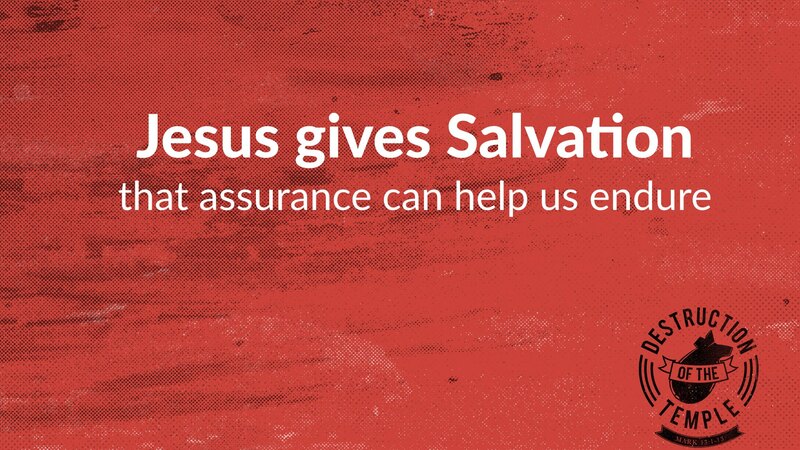 Let the assurance of salvation keep you going through difficult times. And, may that peace of God, which transcends all understanding, guard your heart and mind in Christ Jesus. Amen.